Hayman Island is the most northernly island in the Whitsunday Island group. The only resort to grace the island, renowned for its elegance, service and superior location at the edge of the Great Barrier Reef, Hayman has become a unique 5-star resort. It is the only Australian resort to be accepted as a member of the prestigious organization The Leading Hotels of the World. You’ll love exploring Hayman Island. 400 hectares in area and 8 km in circumference, its tallest peak stands 250 metres above sea level. Other islands and the mainland can be seen from Hayman and are accessible by boat or yacht. 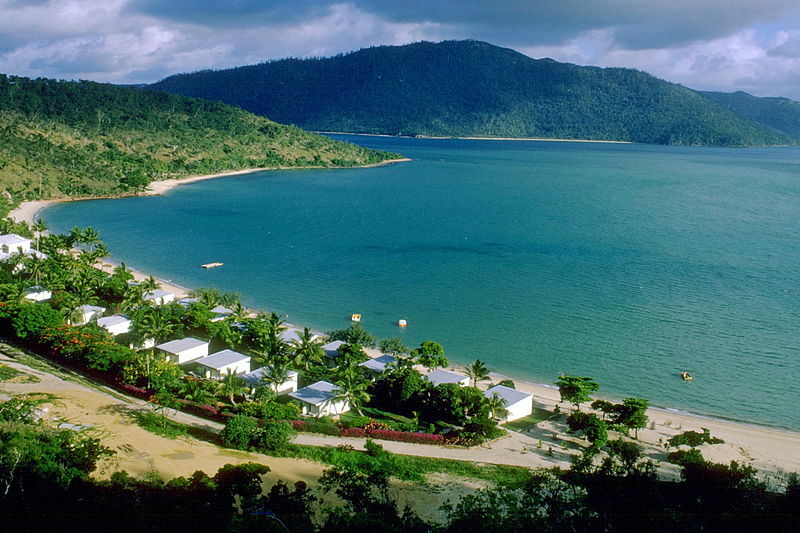 A quite mountainous continental island mainly covered with native eucalypti and hoop pine, Hayman offers you a feast for your eyes on any one of many buskwalks, including idyllic deserted beaches. You will will save you time, eliminate stress and you will travel confidently with our Virtuoso Travel Advisors. And if you are looking for inspiration, we do everything: air, car, hotels, transfers, tours that includes free upgrades, superior airfare rates, privileged access, special amenities and luxury touches that will maximize your enjoyment. You can reach us from the comfort of your home and get priceless Hayman Island vacation information. It helps us help you, if you begin with our vacation planner then we can determine which of our travel advisors suits you best. A magnificent range of flora, fauna and marine life is found in this beautiful environment, all of which is protected against damage or removal, as Hayman Island is part of a Marine Park. Beyond the beach lies a coral reef, 800 metres wide, which fronts the southern half of the island. The reef becomes exposed at low tide and is covered by up to 4 metres of water at high tide. Abounding in lush, tropical growth, encircled with white sand and surrounded by coral reef and warm waters – this island will give you a holiday to remember long after you have left it. Daily flights leave from Cairns, Brisbane, Sydney and Melbourne to Hamilton Island Airport. Our friendly staff welcome you aboard the launch, complete your registration and accompany you to Hayman Island. Alternative access to Hayman Island is available. Chartered helicopters leave Hamilton Airport and Proserpine Airport, charter amphibian aircraft depart from Shute Harbour Airstrip or other nearby towns, and a water taxi leaves from Shute Harbour. Whichever way you prefer to travel to us, we strive to maximize your comfort and convenience. Hayman Island is one of the world’s finest resorts. It is also the closest resort to the Great Barrier Reef with helicopter or cruiser transport giving guests the opportunity for coral viewing or diving. Big game fishermen come to Hayman in the months of September, October and November in search of Black Marlin. On a sparkling sunny day the colour of the water of Hayman’s lagoon and Whitsunday Passage is simply stunning – the hues range from gold to turquoise to emerald to sapphire.